The Barclay Choice Privileges card is the rare hotel card to offer a 0-percent introductory period for balance transfers, and it’s a good deal if you’re looking for a long period to pay off your balance transfer as well as a rewards card that’s worth keeping in the long run. For cardholders with the best credit scores, the SunTrust Cash Back card is a great choice for transferring a balance: It offers a low minimum interest rate, modest balance transfer fee and lengthy interest-free promotion; however, cardholders with lower scores could get stuck with a much higher standard interest rate. The introductory period for balance transfers on the Blue Cash Preferred card is relatively short and the card’s $95 annual fee is steep; however, it offers one of the most valuable rewards programs for everyday purchases. 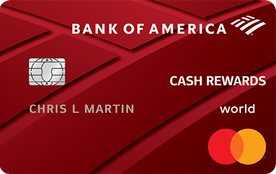 The Bank of America Cash Rewards card offers new cardholders a modest balance transfer fee and attractive perks for everyday spending; however, its APR is high for cardholders with less-than-perfect credit. The PenFed Pathfinder Rewards card’s introductory period on balance transfers is relatively short, though it’s worth keeping as a travel rewards card if you can pay off your balance in 12 months. The introductory period for balance transfers on the PenFed Platinum Rewards Visa Signature card is on the short side, but, if you stick around after your balance is paid down, you’ll have a good travel rewards card with very reasonable rates and fees. 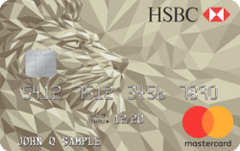 With a generous intro offer on both balance transfers and new purchases, the HSBC Gold Mastercard is a great choice for cardholders looking to pay down their debt. You’ll also save a bit on charges thanks to the $0 annual fee, lack of foreign transaction fees and one late fee waiver per year. Though the PenFed Power Cash Rewards Visa Signature card comes with a very reasonable regular APR, the interest-free period for balance transfers is far too short. The BBVA Compass ClearPoints card offers a lower minimum interest rate than most of its competitors and a long introductory period; however, its balance transfer fee is on the high side for a balance transfer card.